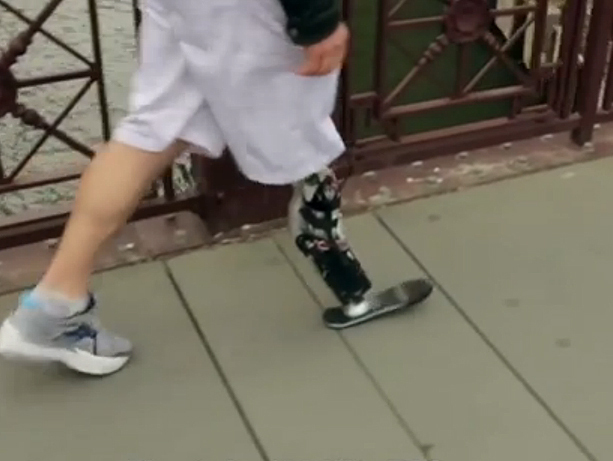 Seattle amputee is test subject for myoelectric leg, which picks up nerve signals. Zac Vawter of Seattle lost his leg in a motorcycle accident. Harborview Medical Center orthopedic surgeon Doug Smith redirected nerves in Vawter's leg, enabling him to use a new model of prosthesis that is powered by thoughts and resulting nerve impulses. Find related information in this Ivanhoe News story.